If anyone out there is like me, they know the value of a dollar. In other words, knowing what a dollar is worth and making the most of my dollars go hand in hand. In the case of my car expenses, I need to know that I am not tossing out valuable dollars due to items that might otherwise be considered preventable. If It's Not Broke, Then. . . The notion that if it is not broken, then it does not need fixing does not apply across the board. Some things are not broken, but they surely need our attention. I try to keep my car maintained in order to cut down on big ticket expenses like blown head gaskets at a later time. Tire pressure is a factor in gas mileage. Think about a car's fuel efficiency, then factor in whether you have been driving on over or under-inflated tires for an extended period of time. That fuel economy mileage goes totally out the window, and that means more frequent visits to the gas pump. In other words, those are some hard-earned, much-needed dollars going to waste. There are many ways to find out the recommended level of proper tire pressure for any type of vehicle or tires. I find that referring to the owner's manual can provide the recommended tire pressure for my vehicle. Another way to get a hold of the actual tire pressure that is needed is to check with the local dealership. The Olympia Auto Mall is your best source for local car dealerships serving Tacoma WA. They are both knowledgeable and helpful, especially to us frugal drivers. Checking tire pressure on a regular basis is key. Also, depending on the frequency of driving, I usually check my tire pressure on the Sunday before I start the workweek after washing the car. I also check my tire pressure prior to a long road trip. 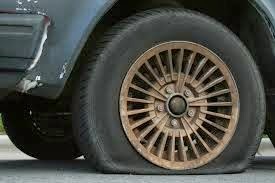 There is no reason to end up on the side of the road with a blowout or a punctured tire due to riding on over or under-inflated tires. When I really want an expert opinion, I always go to my favorite local car dealerships in the Olympia Auto Mall. At the end of the day, properly inflated tires can do more than keep you on the road. They can keep money in your pocket and that means a lot. For excellent service and advice on your vehicle, consult the great folks at the Olympia Auto Mall, new and new car dealerships serving Tacoma, WA.